Bold contemporary patterns . . . rich reflective fabrics . . . sleek shiny accessories. All of the elements are in place to present a statement about current design trends. This project took place at Luxe Home Interiors, a full service interior design and furnishings studio located in John’s Creek. They wanted to showcase an example of how to incorporate today’s clean-lined style with drama and elegance. 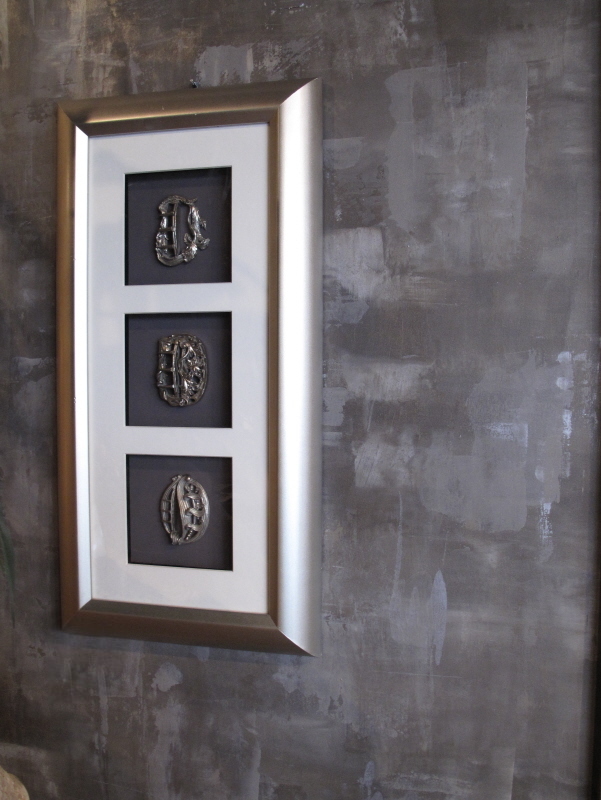 The addition of a stunning faux finish on the wall provides the perfect background to complete the picture. 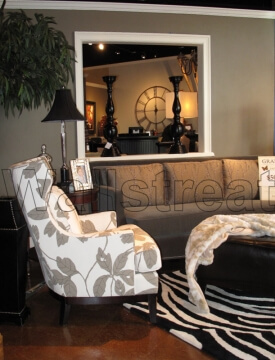 A rectilinear pattern to honor the tailored appearance of the furniture. Multiple colors within the same tones to maintain the sophistication of this look. The use of subtle reflective textures consistent with the glamour of this setting. And hence, a custom finish was born! The day of the application was festive. Since it is directly in front of the glass entrance, many curious visitors stopped in just to observe the transformation taking place. So many great questions. It is always fun to watch people as their wheels start to turn. 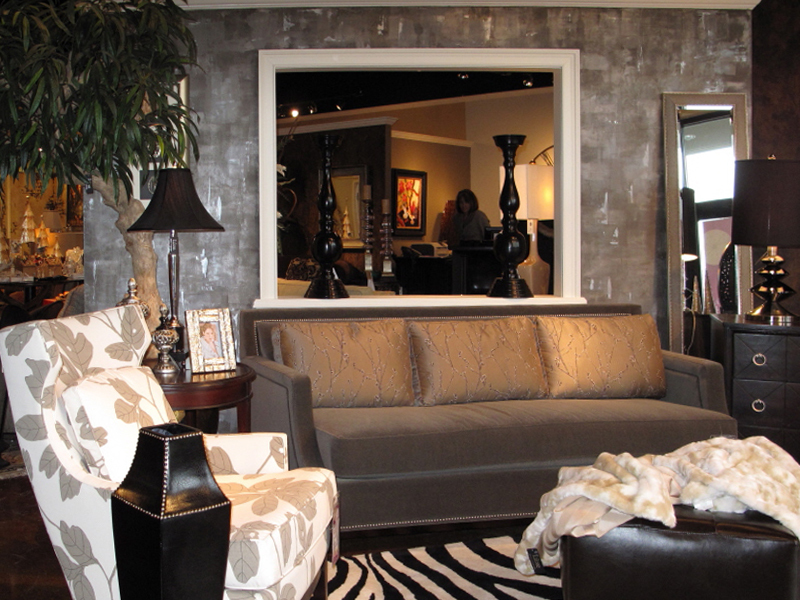 You can see them beginning to imagine how wonderful a wall finish like this could be in their own home. 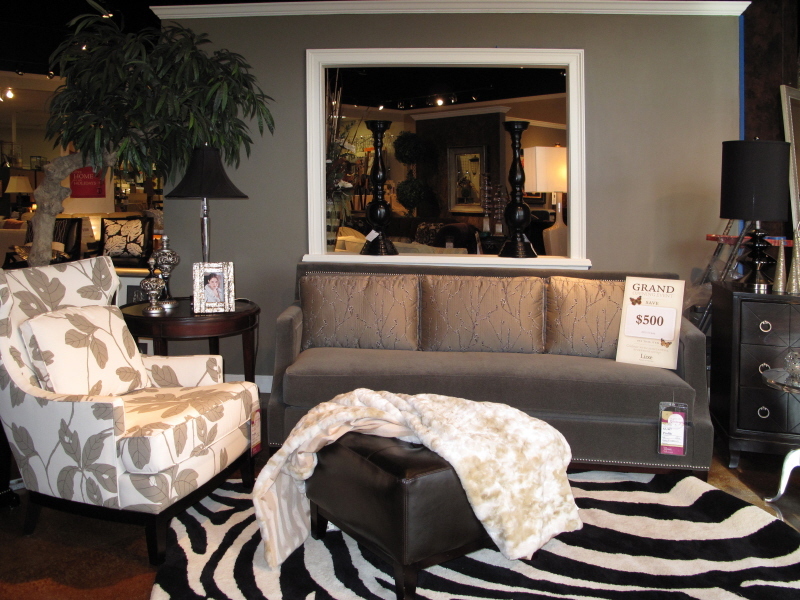 This stunning space can be seen in Luxe Home Interiors at John’s Creek. 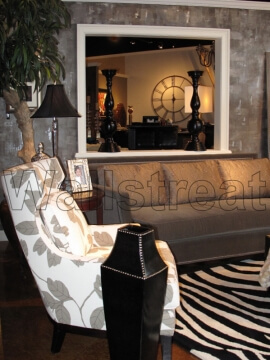 I encourage you to stop by and take a first-hand look at the intrigue of this finish. You must see it, feel it and touch it to believe it! 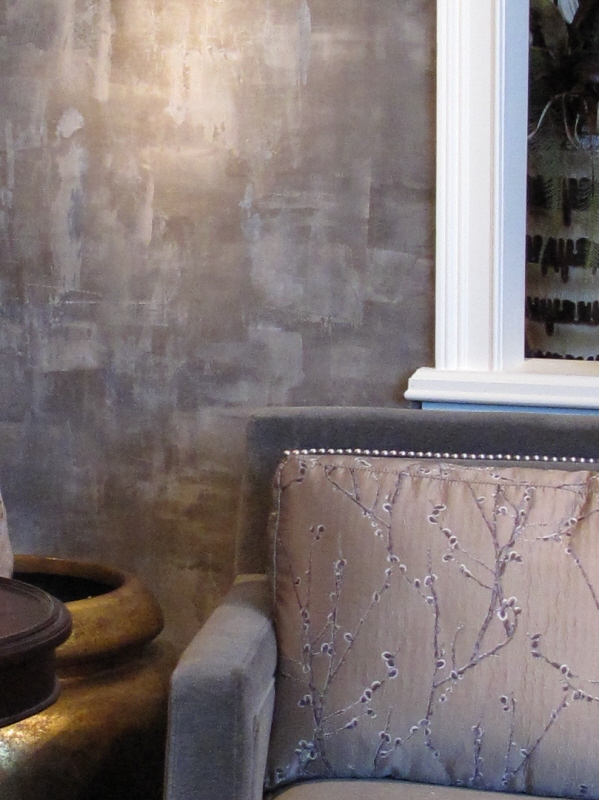 Be sure to explore our Faux Finish Projects for more transformations. You’re so right — this is the perfect touch to the rest of the room. It would have been a shame to leave the wall plain.